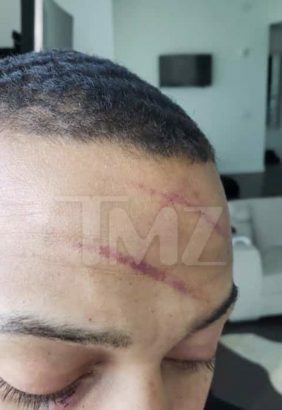 Rapper Bow Wow has uploaded pictures of the injuries he sustained when his girlfriend, Leslie Holden confronted him. 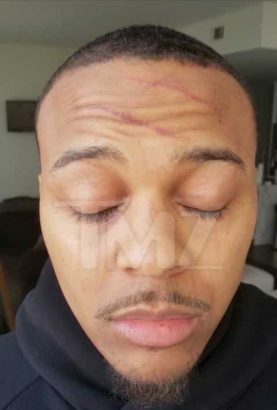 The rapper and his girl were detained and had their mughsot taken which showed Bow Wow with several scratch marks all over his face despite being the one that was accused of delivering the assault. 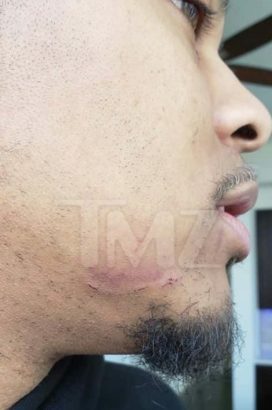 His manager had said during the time that Leslie Holden was actually the one who decided to get violent when she found out that Bow Wow wanted to go to the Superbowl without her. He said she flinged a lamp at Bow Wow which led to the scratch. 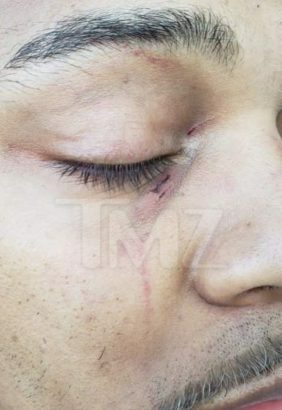 Bowwow has now decided to share more photos to prove that he was the real victim and that the injury the mugshot displayed was small compared to what he actually faced.